I’m going to skip the preamble, the attention grabbing opening, and get right down to the meat and potatoes. If you’re an eCommerce business and you want to ramp up your email marketing efforts, here are 10 winning strategies that have been proven to work. 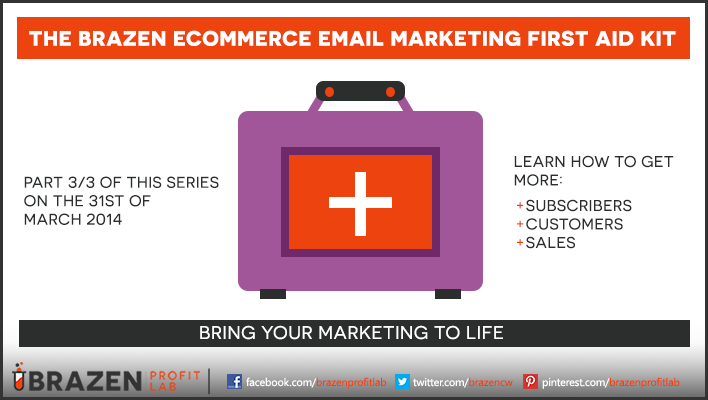 >> Miss part one of this email marketing series for eCommerce business owners? You can find it here. And don’t forget to get join our mailing list to make sure you don’t miss part three, or any of the other eCommerce marketing content we publish here. 1. 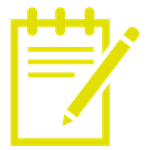 Make List building a priority. Don’t make finding your subscriber box a game of where is Wally! It’s sad to see so many eCommerce business owners treat list building as an after-thought when, if done correctly, it can be massive financial benefit to their business. Put your email opt-in box where your visitors can see it. And have more than one. Don’t be shy. 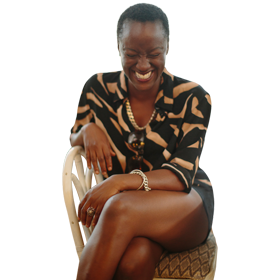 This is about taking your business from surviving to thriving. I don’t suggest putting them on your ‘money pages’, but we’ll talk about how you can get around that during a later point. Want an example of an awesome brand leaving serious cash on the table because they’re not making list building a priority? Check out www.fiftythree.com. 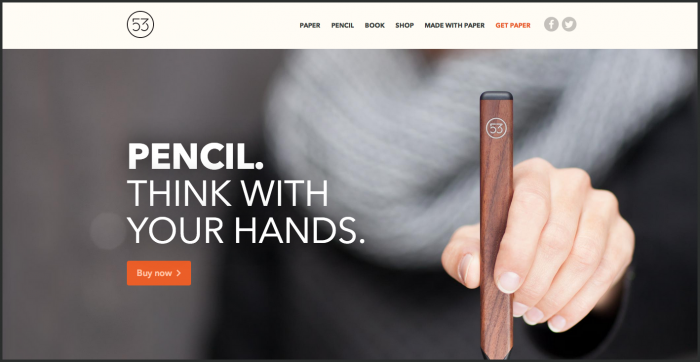 They make a product, and have a site so damn cool that I want what they are selling – and I can’t even use the product! In the 12 scrolls (yep, 12) it takes to navigate their landing page, there is not one email subscriber opt-in box. Not.One. ?!?! Let’s be blunt. 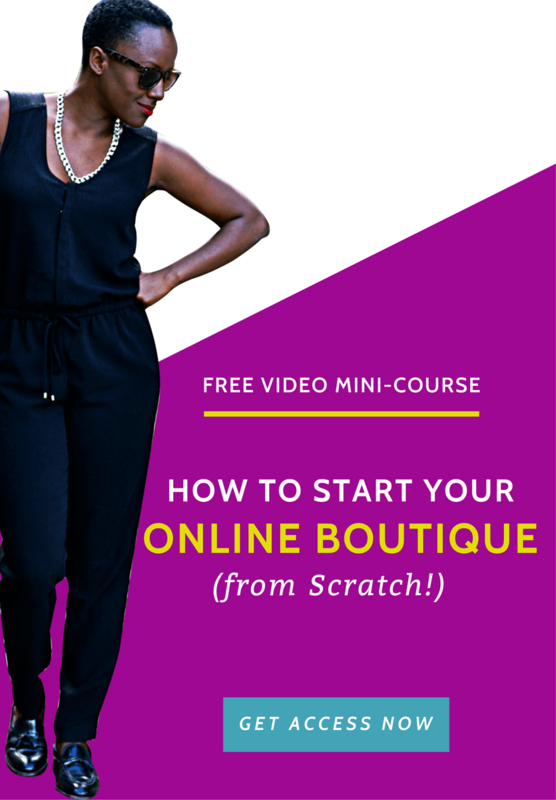 You can’t convert ‘nobody’ into email subscribers! 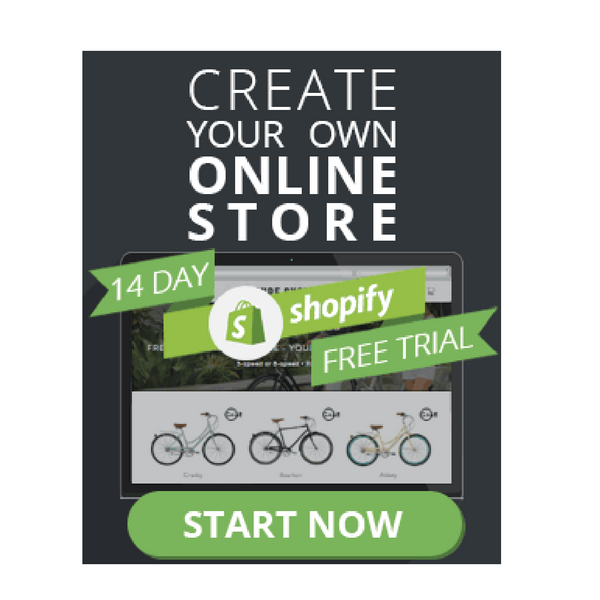 In order to improve your list opt-in rate you need a steady stream of targeted traffic flowing through your eCommerce business. I’m sure you know more traffic is a priority, so I won’t go into the details on how to drive more traffic now, but at the end of this article I’ve added a list of links to some the best advice I’ve found about the strategies covered in this post. 3. The dreaded pop up. Have one. They work. 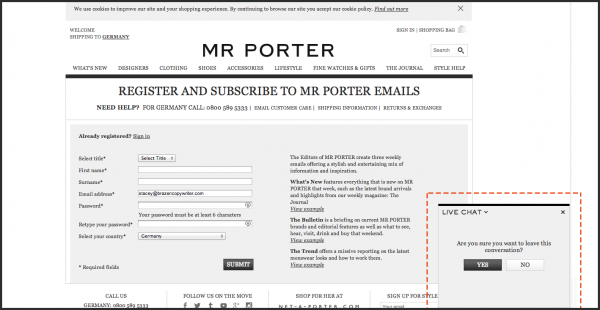 Let’s take a look at how you can have an email opt-in on your product sales pages that don’t distract from the sale. How about installing pop-up software that is triggered when a visitors looks like they are about to exit the page, or hits the back button? This is the right time to ask your visitor for the low risk transaction of their email, for your .?.. We’ll talk about the importance of incentivising your subscribers, in point 4. 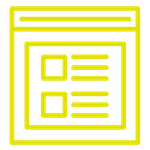 Avoid static opt-in boxes on your money pages. Why? every element of your sales pages should be designed to get your visitor to make a sale. There should be no distraction from that goal. Just like when you’re about a board that plane to somewhere exotic, and check-in is the only thing that matters. If you run an eCommerce business, getting customers through the checkout, is the only thing that matters. However, if it looks like they’re about to leave without checking-out… then… it’s game on! Great example of a fashion brand using pop-up boxes effectively in a way that benefits the customer. They offer an incentive worth having. Their ‘why’ to opt-in, is obvious. Unless I really, REALLY like what you do, when I’m asked for my email – especially if I can see some effort is being made – the first thing I ask is, why? Your customers are thinking the same thing. Yes! they are motivated by saving money, staying on top of trends, and not missing out on special offers. But unless you tell them the ‘WHY’ when you’re asking for their email you’re likely to be ignored. In your opt-in, make sure it’s clear what your visitor stands to gain by subscribing to your mailing list. 10% off first order? First viewings on new and limited stock? special list member only discounts? 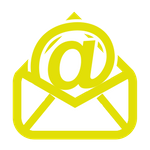 Give your visitor a good enough reason to give you their email and permission to stay in touch. Because like I said, unless they really, REALLY like you, your pretty website won’t be enough to get their email. 5. Run a contest or giveaway. FREE never goes outta fashion! If we start to go into the details of how to run a contest the right way – in a way that equals long term value for your business – this would be a book not a blog post. Informative links at the end. 6. Use social media. Did I really just have to say that? I bet you have a Facebook account, a Twitter account, and if you’re smart, a Pinterest account too? Now, I’m also hoping that you have a strategy for all those platforms – but that’s a whole different blog post. Traffic from sites like Pinterest where the main user demographic are women of median income actively looking to buy, respond particularly well to strategies like this. Don’t have a social media strategy (or one that works)…but know you need one? Get in touch to see how BPL can help you, we specialise in Pinterest marketing. 7. Think like Dropbox. 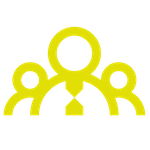 Use the customers you already have. One reason for the explosion in Dropbox’s rapid growth and popularity, was down to one simple, clever strategy. Now they call it growth hacking, but at the time Dropbox started using this strategy – offering additional storage space in exchanges for sharing the service with your friends – I’m pretty sure it just seemed like common sense. 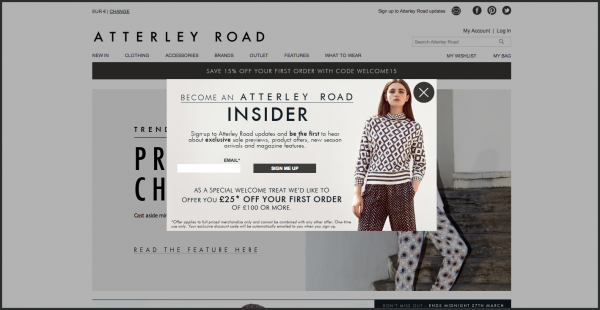 So how can email growth hacking work for your eCommerce business? When you have a particularly generous or juicy offer, why not ask the people on your current list to share your email with their friends (for some extra incentive, of course). Something like this, maybe? Here’s why this strategy is so clever and made the founders of Dropbox some rich mofo’s…. People respond well to recommendations from people they trust and respect. If they buy on that recommendation, then – bam, you have their email and their cash. Done deal. But even if they don’t, if they come over to your eCommerce site and see your opt-in box, if they have any real interest in what you offer there is a high likelihood they’ll sign up. 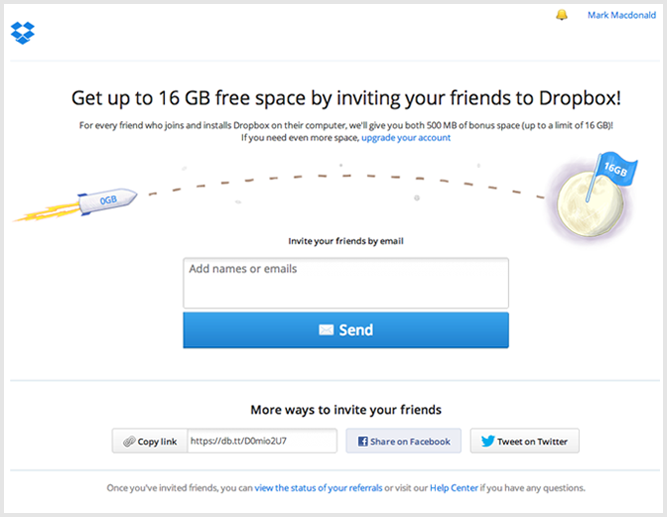 Dropbox growth hacked their way to success, by incentivising users to share the platform in exchange for more storage. 8. Add a link to your opt-in offer in your business email signature. I mean, it’s YOUR email! 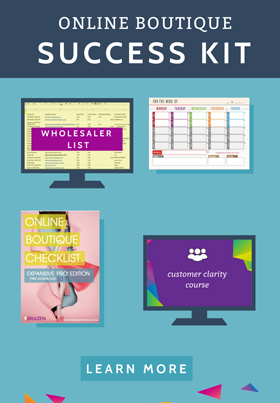 This is a simple strategy, but one that many eCommerce business owners overlook. 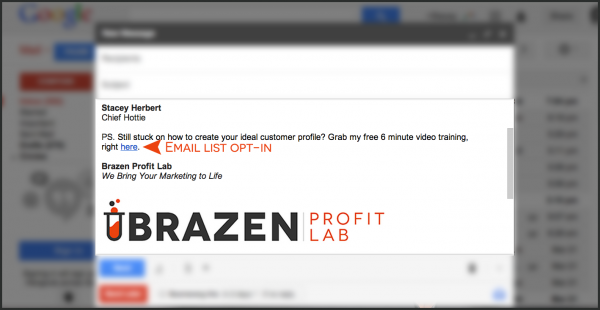 Add a link to your opt-in sign up offer in your business email signature. 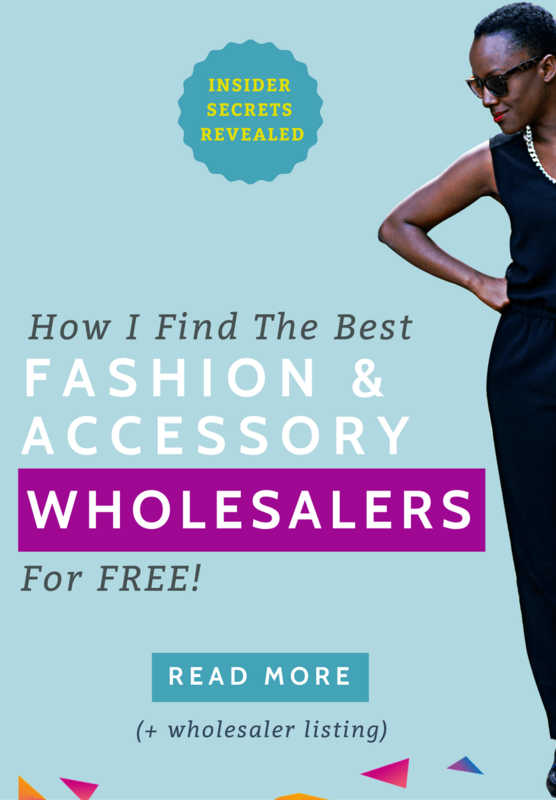 Whether talking to prospects, customers, suppliers, manufacturers, press, it doesn’t matter! If you have a positive or business relationship with the recipient of your email, they adding this link is non-offensive and gives them a chance to hear about something that may not have known about. Think of it like this: you’re doing them a favour. Ok, I kid. Nobody likes a know it all. But show up on the forums most popular within your niche, and be helpful and present. Become known for an area of knowledge and expertise around a particular topic. 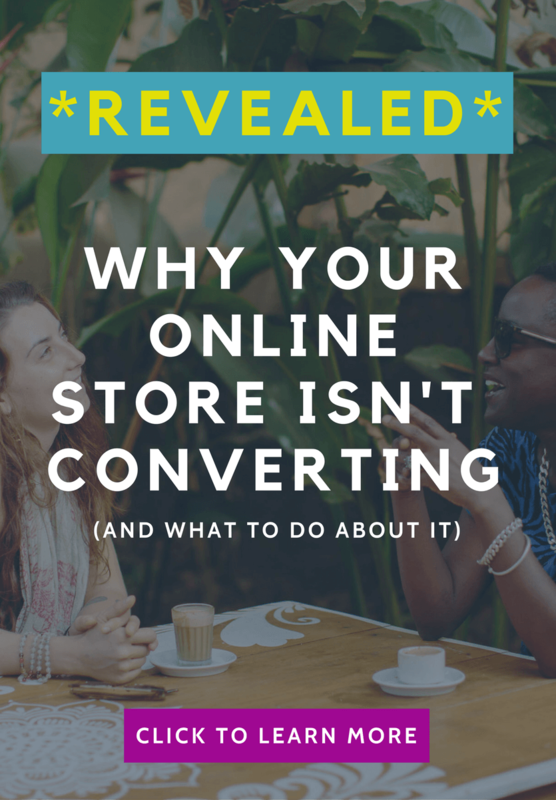 Some readers or participants to your threads will naturally want to know more, and when they land at your eCommerce site they’ll find your opt-in box ready and waiting. If you’ve done your job right they are already one step closer to trusting you, and having the answer to their ‘why’? 10. Be consistent. Think Marathon not sprint. I didn’t want to add this, but I had to. List building is not some Usain Bolt style, sprint. It’s a long0term, involved strategy that requires you to stay consistent, experiment and test. Many business owners don’t see Bentleys and Ferraris on their first go round with list building and give up, saying, “it doesn’t work.” That’s not true. It does work, and if you keep at it there might be a 2nd hand Mercedes Benz in it for you yet. Jokes aside. You need to keep at it. 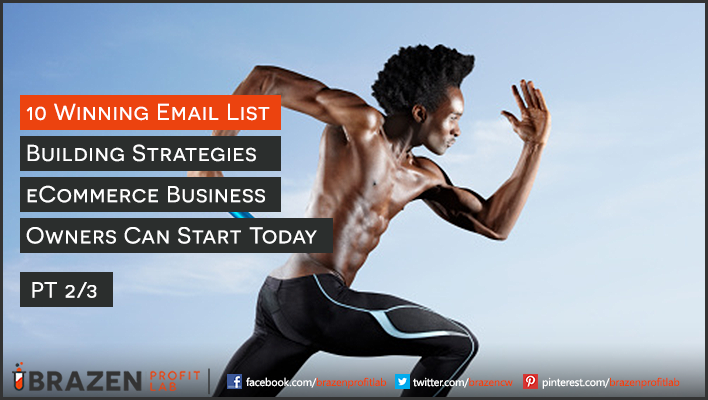 So there you have it, 10 list building strategies you can start today, but we wouldn’t be Brazen Profit Lab if we didn’t try an over deliver so check out these two bonus tips. It’s quite possible you are already using pop-up live chat support to help your customers, and answer any questions they might have in real time. What’s the worst that can happen, they exit the chat? Mr Porter working the Chat box action. Wonder how many new subscribers they’d get if that actually asked for them? In order for you to tweak your list building efforts, you’ll need to monitor which strategies get the best results. This can be easily achieved by setting up a number of lists specific to that particular campaign, and seeing which one brings the highest numbers of subscribers. You can also set up different thank-you landing pages for each campaign, and set them as goals in your Google analytics account. This way, when someone completes your sign-up and lands on the thank you page, Google will track that as a completed goal directly within your dashboard. If you send them all sign ups to to your central list you won’t be able to see where the sign ups are coming from. Rookie error. Today’s Brazen challenge. Get started, but be smart. I know there will be a temptation to go off and try all of these new new strategies at once. Don’t. You’ll fail. Rome wasn’t build in a day, and neither will your list. Pick 3-4 strategies that you can start to take action on. Two right now, and two within the next two weeks, and get started. I’d love to hear your experiences of email marketing, and which strategies you plan to focus on in the comments. Sign up so you never miss another like it, and for the love of all things Louboutin, please share it with others – buttons to the left. Not ready for the whole email thing? come and say hi on social media…it’s friendly around these here parts. Want more insightful, informative reads on the key strategies mentioned in this post? Check out this list of further reading resources.